JBONE AKA JUSBIZNESS | www.griphop.com | Blog : MR. & MRS. GRIP-HOP LIVE@ BUSBOYS AND POETS! MR. & MRS. GRIP-HOP LIVE@ BUSBOYS AND POETS! 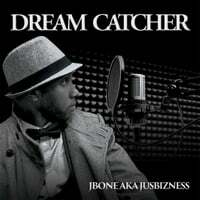 JBONE and LANAE JEWALZ will be performing live in person at Busboys and Poets in DC. 14th &V. If you love real hip-hop music, come checkout the Grip-hop Guy and Mrs. Grip-Hop!